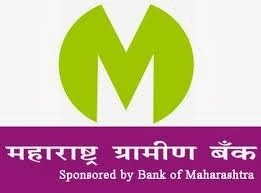 Maharashtra Gramin Bank Recruitment 2013 www.mahagramin.in Vacancy Apply Online : 1. Maharashtra Gramin Bank is inviting applications from various people across the nation for the posts of Officer Scale I / II / III and Office Assistant. All the candidates who are eligible and interested and also appeared for this CWE Exam for RRBs in September October 2013 and have a valid score card issued by IBPS must apply before the last date. 3. Age Limit: Candidate should be above 18 years and below 28 years as on 1st July 2013. Relaxation in upper age is applicable as per the govt norms. 4. Education Qualification: Applicant should hold degree in relevant discipline from a recognized University / Institute / Colleges. 5. Selection Process: Based on the performance in Written Test conducted by IBPS RRB & Interview, selection of a candidate will be done. Visit the official website at www.mahagramin.in . Now submit this form before the last date that is 12th December 2013. The Application printout along with necessary documents xerox must be kept ready for submission if shortlisted for Interview. 9. Candidates join us on Facebook for latest news and updates about Maharashtra Gramin Bank results 2013. Guys subscribe us for free email alerts and bookmark our page for future reference.